1.3 Where should you create Backlinks? In this article, I will share information about How to Create Quality backlinks for Free With High DA. If you are also interested to learn more about this topic then you must read this article till the end. Do you want to rank on Google? Do you want to create Quality backlinks? Are you finding a place to create quality backlinks? If your answer to all these questions is yes then you are at right place. Many bloggers want to create high DA backlinks. And they ask me how to create quality backlinks. So you should read this article till the end. You will get some tips to create backlinks or free and paid. Most people want free high-quality backlinks. So here I will show you the right way to create high-quality backlinks for free. Firstly you should know that what backlinks are. A backlink is a hyperlink who redirects you from one URL to another URL. For example, if website A has a link who redirects a visitor to website B. Then we say that website A has a backlink of website B. You can create a backlink with HTML code. Here I am giving an example to you. This is HTML version of a backlink. But it appears to the front of visitor link this. Now we will discuss the types of backlinks. We have two types of backlinks. If you want to do good SEO for your website then you must create both types of backlinks. The combination off do follow and no follow backlinks are responsible for good SEO. Now let’s discuss these two types of backlinks. No follow backlinks don’t give direct SEO value to your website. They are helpful to reach our website to visitors. Google doesn’t crawl these backlinks. It means no follow backlinks are not directly responsible to rank a website on Google. But a visitor will come to your website and read your article. If he would like your article then may he convert as your permanent audience? So this is useful for you. Now the question is how to create no follow backlinks. The HTML version of no follow backlink is given below. Thus you can create a no-follow backlink. Do follow backlinks are very important to rank a website on Google. Google always prefer right and quality backlinks. And do follow backlinks directly affect your SEO value. It increases your domain authority and ranking. Google’s bot crawl these do follow backlinks to manage your website’s rank on Google. Now the question is how to create do follow backlinks. Where should you create Backlinks? Before the creation of backlinks, you should know that where should you create backlinks. This is very important for a blogger. Because many bloggers get disturbed in this situation. They create backlinks on all websites where they can. But this is wrong. And it can decrease your rank on Google. First of all, you should know that you need to work to win the trust of Google. So you should go at the trusted websites who already won the trust of Google. Because if your website’s visitor will come from a trusted website then Google will start to do trust on your website. So finally, I want to tell you that you should work to win the trust of Google. This is an actual backlink. Before the creation of backlinks, you should follow these steps. Make a list of all the links that rank on the first page of Google. Because they all are your competitors. You should check the backlinks of your competitor. Now the question is how to check the backlinks of the competitor. 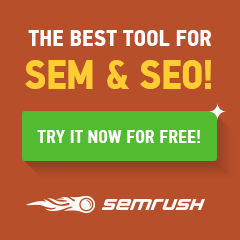 So you can take the help of SEMRUSH. This is one of the favorite tools of top-level bloggers. And you must use this. Now the subscription of SEMRUSH is free for 14 days. You should create a short list of high DA websites who has backlink of your competitor. Now you should try to contact them to get a backlink for your website. You can contact them by the contact form on their website. Most of the website has the contact form. You can send a proposal to them. We will discuss it below. Guest posting is one of the best and useful way to create a backlink for your website. This is also known as guest blogging. Here you write an article for another website and request him to get a backlink for your website. As we discuss above that you created a list of high DA websites who has backlinks for your competitor. Now you need to get backlinks on those websites who has already backlinks for your competitor. So you should contact them to do guest blogging on their website. You should also know about the benefits of Guest Blogging. 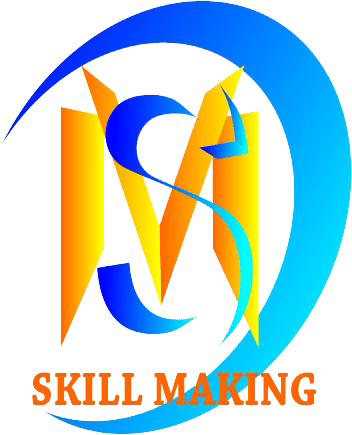 You can do guest blogging with us. We also accept guest post. Forum posting is also one of the best ways to create a backlink for your website. Here you create backlinks on different forums like quora, disqus, stackoverflow etc. You should give an answer to different forums. Because most people go to get a targeted topic on the forum. And between your answer, you can give a link of your website. Thus you can get a backlink for forums. There are many directory submission sites are available. You can search on Google. There you will get many sites that give service of directory submission free or paid. You can also submit your link of those sites. And you will get a link from those websites. Comment posting also a good way to create backlinks. But here you need to understand that comment spamming is strictly prohibited from Google. So never do comment spamming otherwise your site can be panelize from Google. And you will never rank on Google. So you should do comment posting only those websites who are related to your topic. And your website’s link give some value. These are some ways to create high quality backlinks with high DA. Finally, you got information about how to create quality backlinks with high DA. Here you got information about what is backlink, types of backlinks, how to find backlinks of your competitor, guest posting, forum posting, directory submission, comment posting etc. I hope you got useful information from this topic. If you find this article useful then don’t forget to share it with your friends. Thank you for reading this article till the end. You can follow us on INSTAGRAM where we regularly update a lot of useful information which will help you to grow your blog. This entry was posted in blog, blogging, digital-marketing, seo and tagged Create free backlinks, free do follow backlinks, how to create backlinks, how to create high quality backlinks, How to create quality backlinks for free with high DA. Bookmark the permalink. ← Why .TK domains are Free | Should I use it? however, you use the neil patel vedio.